Harry N. Abrams, 1998, Hardback in Dust Wrapper. Condition: Very Good — in Very Good Dust Wrapper. Boards lightly spotted otherwise a very well presented copy. From the cover: “The Russian Romanov dynasty came to an abrupt end on the night of July 17, 1918, when the imperial family was executed by the Bolsheviks. Or did it? 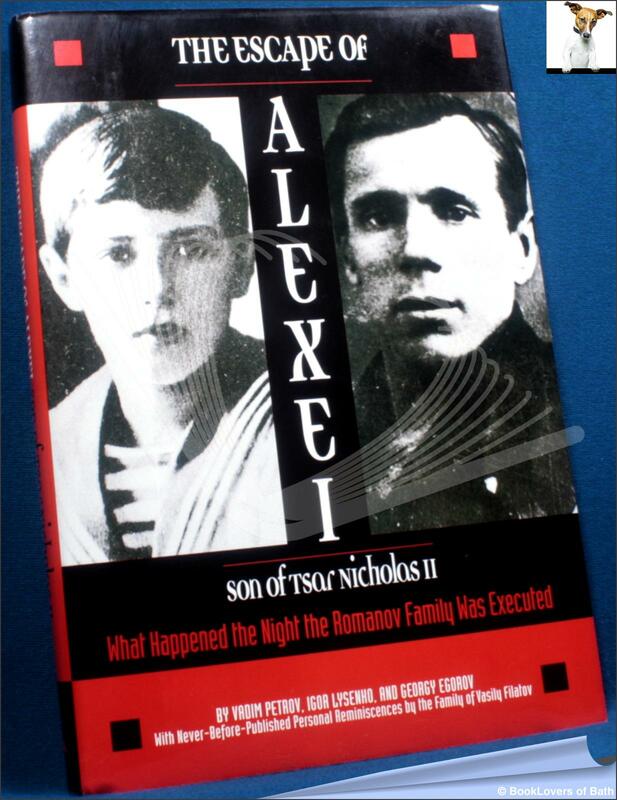 Compelling new evidence reveals that Tsarevich Alexei, the fourteen-year-old son of Nicholas II and Alexandra and heir to the Russian throne, escaped the bloodshed and was adopted by a peasant family. Reconstructing the fascinating historic events of the Russian Revolution, The Escape of Alexei tells the horrifying story of the brutal execution, and the means by which the boy managed to escape death. Bungling by Bolshevik soldiers led to complete chaos: Young Alexei — wounded and unconscious — was still alive when he was loaded onto the back of a truck with the corpses of his murdered family. He fled into the woods and found his way to a nearby village. There his world turned upside down. Russia’s heir to the throne grew up under the name of Vasily Filatov He became an apprentice shoemaker and eventually a high-school geography teacher. In this extraordinary volume, three respected scientists provide a convincing, thorough account of how the executioners covered up the fact that the body of the heir to the throne was missing. Drawing on official records and documents from Russian archives and the grisly personal accounts of soldiers who took part in the execution, the authors offer compelling evidence that Alexei Romanov and Vasily Filatov were the same person. Jacket designed by Ana Rogers. Size: 10¾" x 7¼". Black boards with Red titling to the Spine. 240 pages.